This is the perfect companion during rainy days and cold weather. 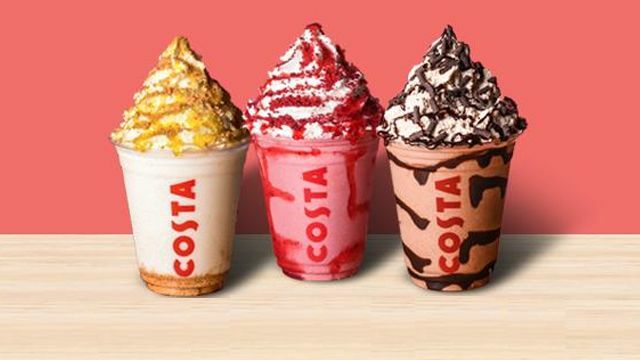 When the weather gets nippy and cold, you can always depend on your favorite and ever-reliable warm drinks to cheer you up. Whether you’re a kid or a kid at heart, you can always find comfort in a cup of warmth, frothy, decadent hot chocolate. 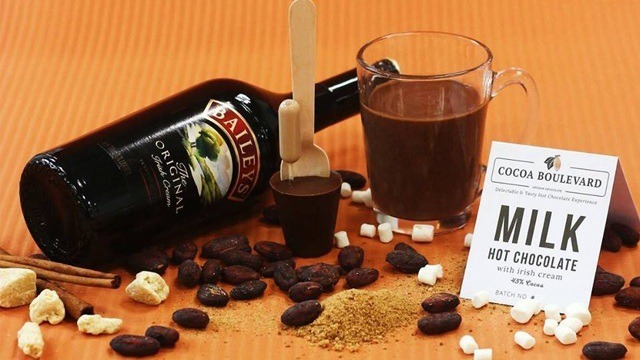 This rainy season, warm up with Cocoa Boulevard's hot chocolate stirrers. 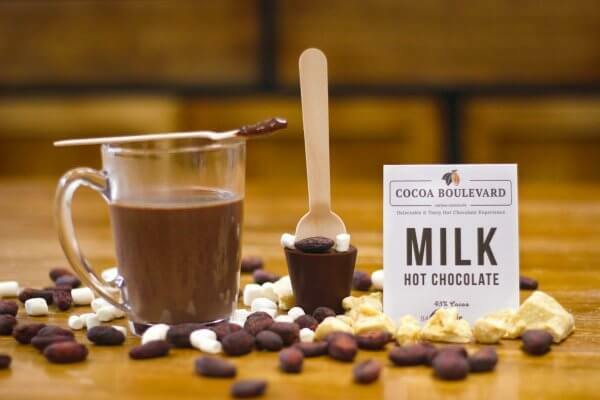 Cocoa Boulevard is a bean-to-cup home-based company which produces these sweet stirrers made of pure hot chocolate mass and molded with a wooden spoon on top—much like what a popsicle would look like when it’s upside down. 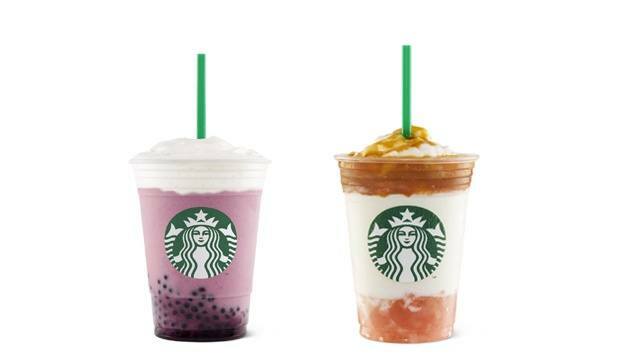 Instant warmth in a cup! Cocoa Boulevard uses chocolates that are made from scratch, using cacao beans from the Compostella Valley in Davao and coco sugar from the Quezon province. They have classic flavors like the milk chocolate, dark chocolate, white chocolate, and tsok chocolate stirrers (P99 per stick). 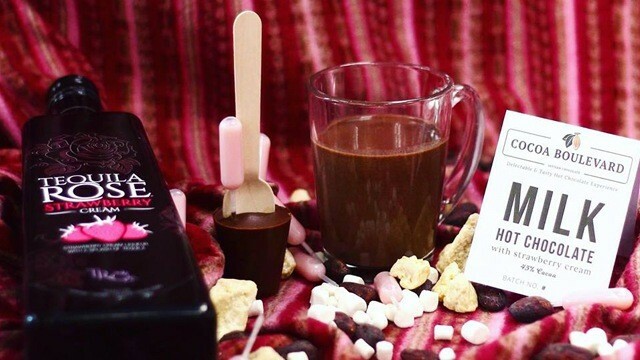 If you want some extra warmth that comes with a kick, Cocoa Boulevard also has liqueur-flavored hot chocolate stirrers for P109 per stick. They have two flavors to choose from: the Irish cream chocolate stirrer and the strawberry cream chocolate stirrer. If you want more adventurous flavors, go for the espresso and cinnamon chocolate stirrer, matcha chocolate stirrer, and the matcha almonds chocolate stirrer (P199 per stick). 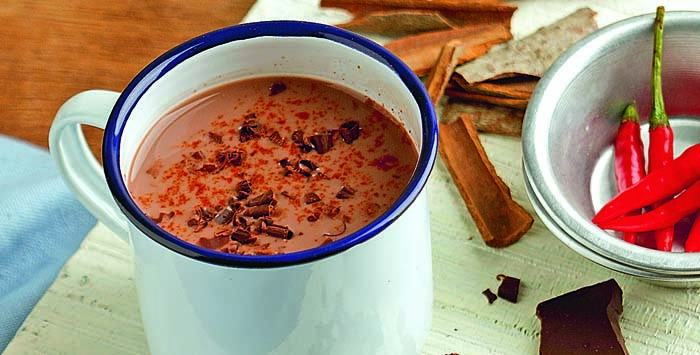 Fancy hot chocolate with liqueur flavors? They have Irish Cream hot chocolate. How about a cup of strawberry cream hot chocolate? The preferred way to use these stirrers is to swirl the hot chocolate stirrer in scorching hot milk until the chocolate is completely melted. Don’t forget to add in the included marshmallows, and if you have the liqueur-flavored stirrers, squeeze the pipette to add the Irish cream or strawberry cream! 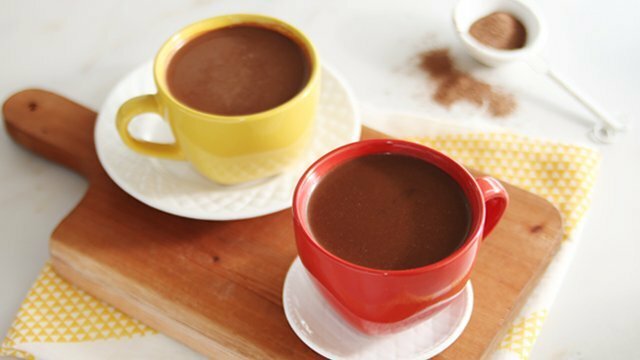 That comforting cup of hot chocolate can still be better! 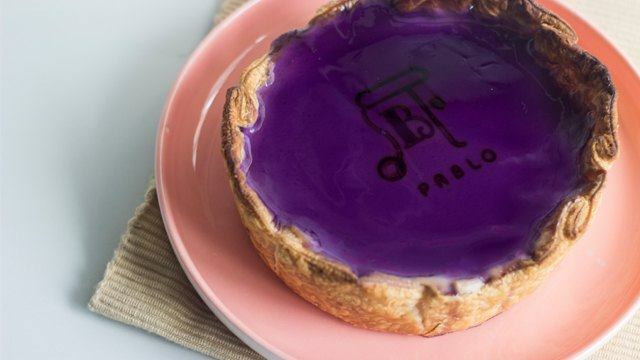 To get these treats, you can place your orders through their website or via Shopee.